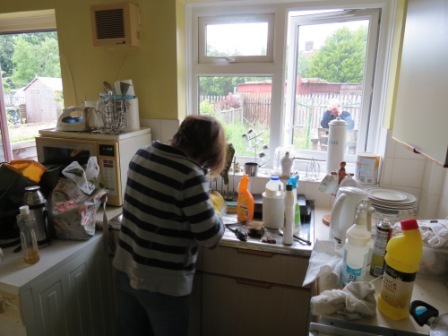 One man’s life was transformed when volunteers helped renovate his flooded house as part of Serve Our City in Preston. 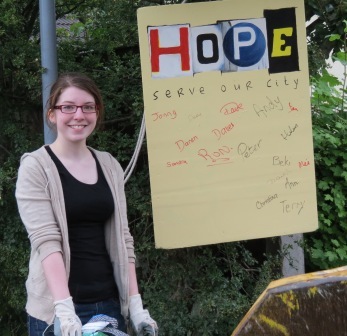 More than 200 volunteers from 24 churches in Preston made an impact in the city by being the “hands and feet of Christ” through their words and actions: 10-14 July saw 25 projects completed - cleaning, decorating, gardening, litter picking or other practical jobs - doing “whatever it takes” to demonstrate the love of Jesus. For five days from 9am - 8:30 pm, volunteers worked in community centres, parks, homes and the streets of Preston, caring and serving wherever needed. Even the social services and other local agencies were keen to join this venture, and referred the volunteers to areas and people in need of help. The flood victim was one of those helped. He explained through sobs that he had felt that he had “no way out”, and suddenly the Church had turned his life around. The Preston: Serve our City project ties in this year with the city’s Guild Year - a celebration run every 20 years since 1179. HOPE is encouraging you to consider using opportunities in the calendar to join with other local churches, take to the streets and share the message of Jesus through words and actions, building towards a year of mission in 2014.